The Levant News – Rebels in Aleppo have agreed to form a new military alliance to better organize the defense of parts of the city they control from a ferocious assault by the government and its allies, officials in two of the insurgent groups said on Thursday. 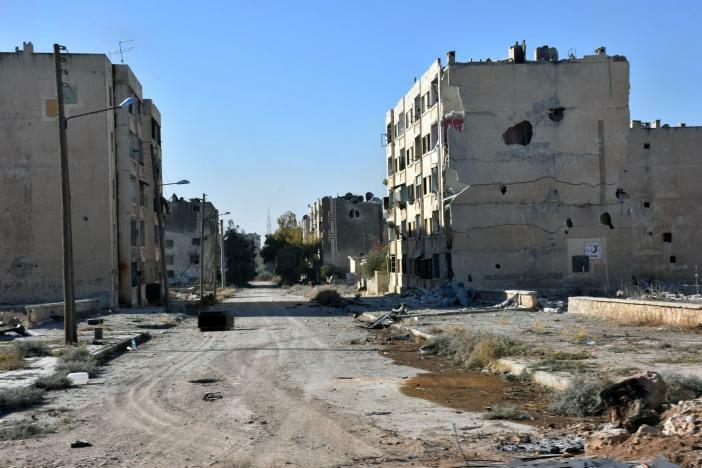 The Syrian government assault backed by allied militia has driven the rebels from more than a third of the territory they held in eastern Aleppo, threatening to crush the rebellion in its most important urban stronghold. Rivalry among rebel groups has been seen as one of their major flaws throughout the war. The two officials, speaking from Turkey, said the new alliance would be called the “Aleppo Army” and led by the commander of the Jabha Shamiya rebel faction, one of the major groups fighting in northern Syria under the Free Syrian Army banner. An official with a second rebel group confirmed that the Jabha Shamiya’s Abu Abdelrahman Nour had been selected as the leader. In an interview with Reuters last week, Nour urged greater support from foreign states that back the opposition. A Jabha Shamiya official told Reuters the new alliance would help centralize decision-making. The Jabha Shamiya group, known in English as the Levant Front, has received support from Turkey and other states that want Syria’s President Bashar al-Assad removed from power.